Classes meet one or two days a week. 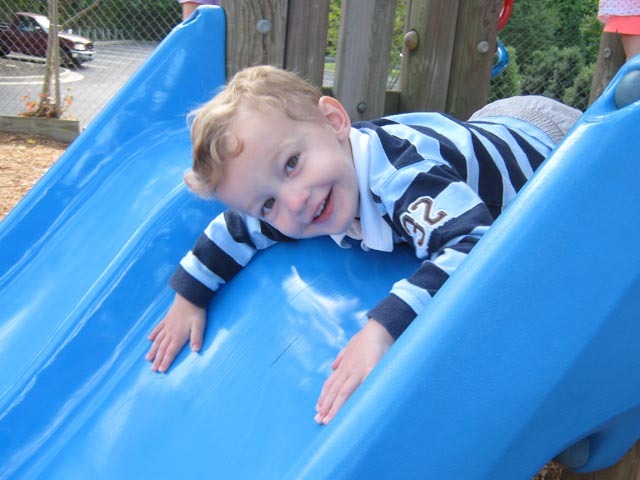 Our play-based curriculum focuses on independence, socialization, and large gross motor development. 8:55 Arrive at school: Parents walk and sign children in, hang up backpacks. 9:00-10:00 Free and Guided Play: Children have the opportunity to choose activities with in the classroom such as playing with toys, puzzles, books, blocks, doll houses, cars, kitchen, etc. 10:00-10:30 Snack Time: Children help clean up the room and prepare for Snack Time by washing hands and singing a blessing. The school provides a NUT/PEANUT FREE snack for this age group. 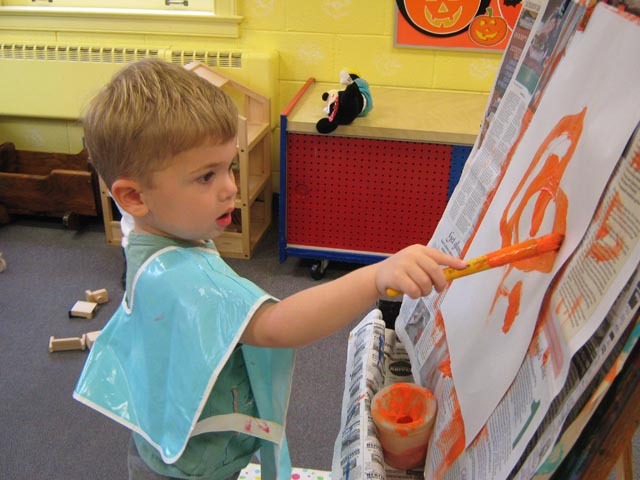 10:30-11:00 Craft and Play Time: One teacher works one-on-one with each child on an age appropriate craft activity while the other teacher provides guided and free play with the other children. 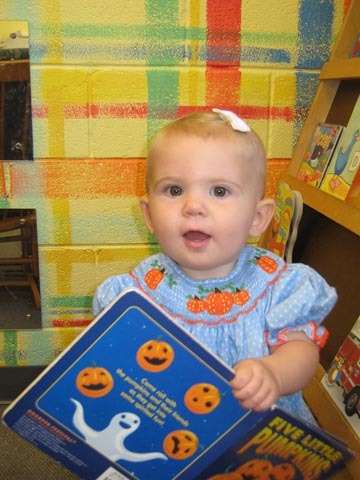 11:00-11:30 Music and Story Time: Children sing songs, move to music, do finger plays, and listen to stories. 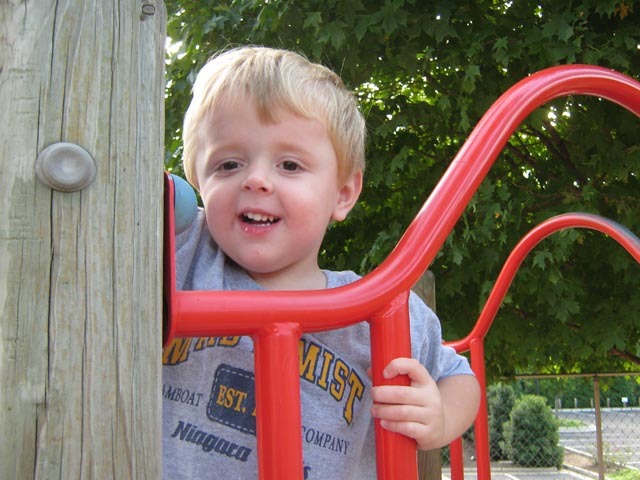 11:30-12:00 Playground: Children go outside to the toddler playground. Children go to the indoor playroom if there is inclement weather. Classes meet two or three days a week. 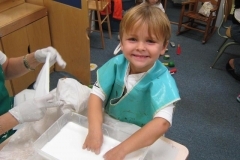 Our play-based curriculum focuses on large and fine motor development, independence, social skills, oral language skills, number concepts, and respect for others. 9:00-10:00 Free Play: Children have the opportunity to choose activities with in the classroom such as Playdoh, puzzles, blocks, cars, books, imaginative play, etc. 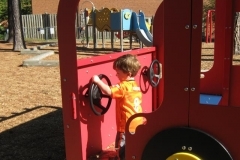 9:30-10:00 Playground: Children clean up the room and go outside to the playground. Children go to the indoor playroom if there is inclement weather. 10:00-10:30 Snack Time: Children wash hands, sing a blessing and eat snack. The school provides a NUT/PEANUT FREE snack for this age group. 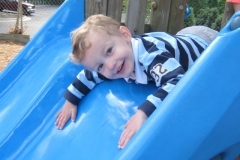 10:30-11:00 Music and Movement: Children sing songs, move to music, and do finger plays. 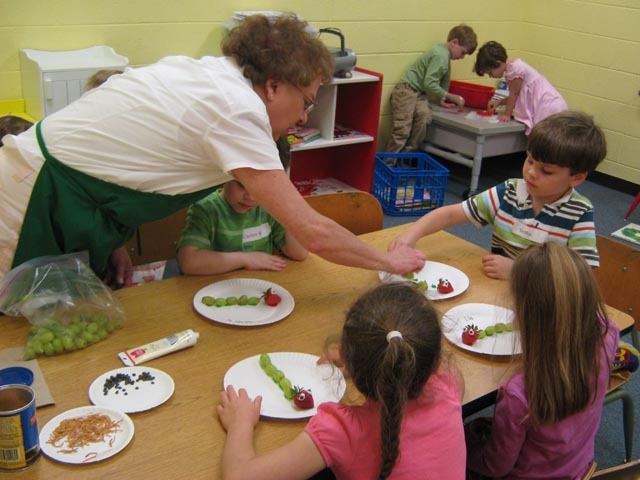 11:00-11:45 Craft and Play Time: One teacher works one-on-one with each child on an age appropriate craft activity while the other teacher provides guided and free play with the other children. 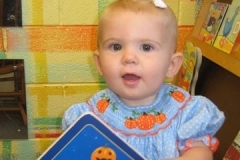 11:45-12:00 Storytime: The children clean up the room and listen to stories. Classes meet two, three or five days a week. 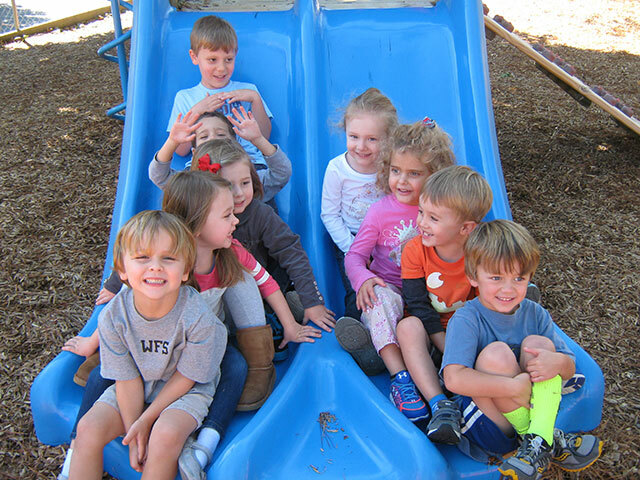 Our play-based curriculum emphasizes independence, large and fine motor development, social skills, problem solving, oral language skills, number concepts, pre-reading skills, respect for others, and spirituality. 8:55 Arrive at School: Children arrive at school through carpool drop off. 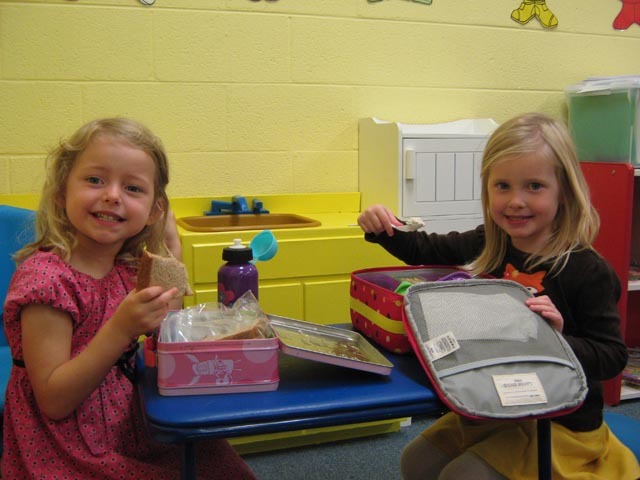 9:00-10:00 Craft and Play Time: Children hang up their own coats and put their snacks away. 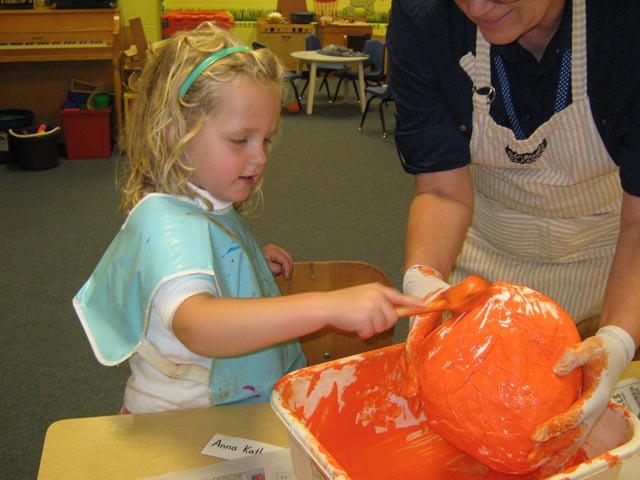 The teacher works one-on-one with each child on a developmentally appropriate craft activity while the other children have the opportunity to play freely in the classroom. Children can choose from a wide variety of toys, puzzles, manipulatives, building blocks, imaginative play activities, etc. 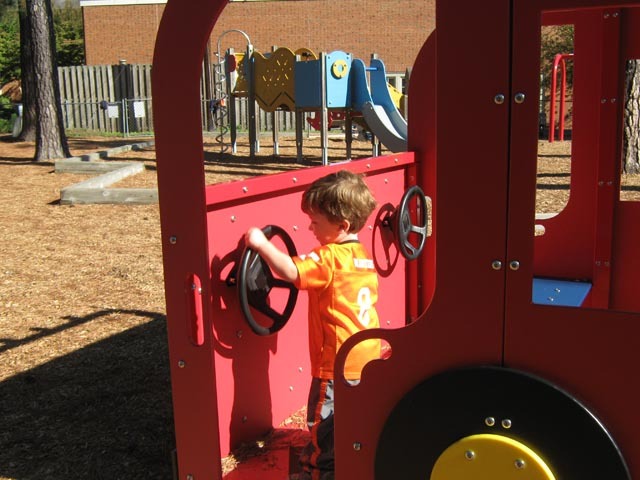 10:00-10:30 Playground: Children clean up the classroom and go outside to the playground. Children go to indoor playroom if there is inclement weather. 10:30-10:45 Snack Time: Children wash their hands, sing the blessing and eat their snack. Each child in this age group brings their own snack to school. We are a NUT/PEANUT FREE school. 10:45-11:15 Circle Time: Children discuss the calendar, days of the week, seasons. Each child is assigned a job for the week, such as, line leader, door captain, snack helper, to develop responsibility. The class talks about the topic they are studying, for example, Colors, Halloween, Caterpillars, and the teacher reads stories. 11:15-11:45 Music and Movement: The children sing songs and move to music. 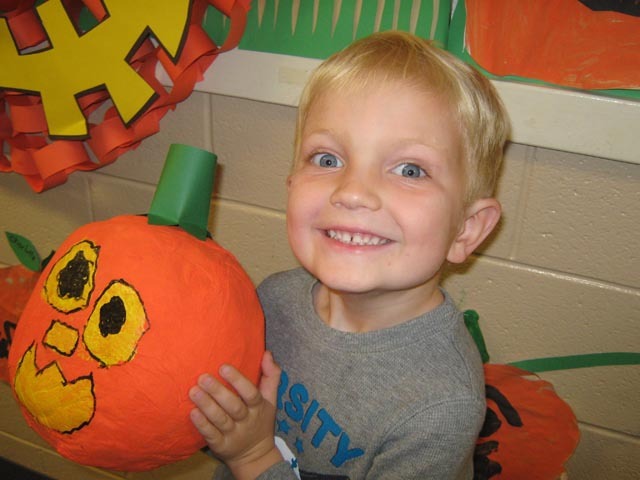 The three year olds participate in a variety of music programs throughout the year, for example, the Halloween Parade, Thanksgiving Feast, Christmas Program and Mother’s Day Tea. 11:45-12:00 Dismissal: The children pack up their backpacks and go home through carpool pickup. Classes meet three, four, or five days a week. 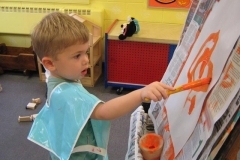 Our play-based curriculum continues to build on independence, large and fine motor development, social skills, problem solving, oral language skills, number concepts, pre-reading skills, respect for others, and spirituality to prepare them for success in kindergarten. 10:00-10:30 Music and Movement: The children sing songs and move to music. 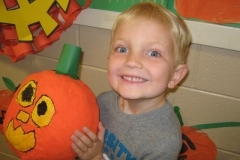 The four year olds participate in a variety of music programs throughout the year, for example, the Halloween Parade, Thanksgiving Feast, Christmas Program, and Spring Program. 10:30-11:00 Circle Time: Children discuss the calendar, days of the week, seasons etc. Each child is assigned a job for the week, such as, line leader, door captain, snack helper, to develop responsibility. The class talks about the topic they are studying, the children participate in “Show and Tell”, and the teacher reads stories to the class. 1:00-11:20 Snack Time: Children wash their hands, sing the blessing and eat their snack. Each child in this age group brings their own snack to school. We are a NUT/PEANUT FREE school. Classes meet five days a week. 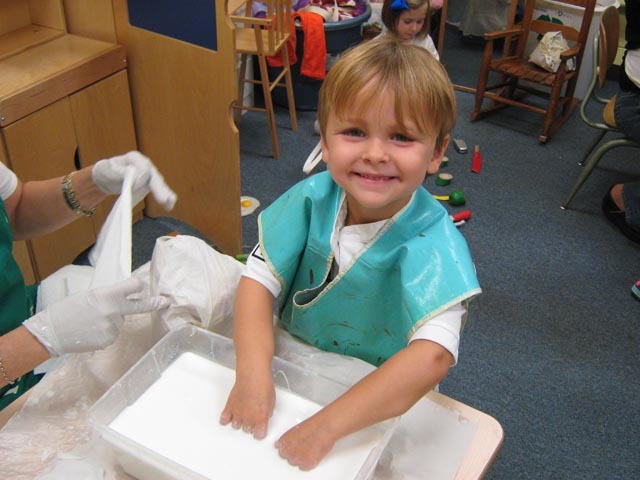 Our play-based curriculum continues to build on independence, large and fine motor development, social skills, problem solving, oral language skills, number concepts, pre-reading skills, respect for others, and kindergarten readiness skills. This class is designed for children who are eligible for kindergarten but need more time socially or emotionally before entering elementary school. The daily schedule is the same as the general 4 year old schedule. 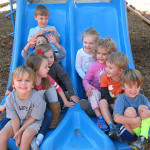 Tuesday, Wednesday, and Thursday afternoons, children may stay after school until 1:30. 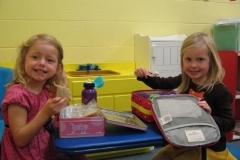 Each child brings his or her own NUT/PEANUT FREE lunch, eats with his friends, and plays with the other children who stay for Lunch Bunch. 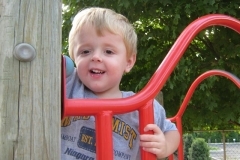 Most often the play is outside on the playground but some play is organized for example, parachute games, chalk drawing, etc. 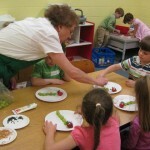 As part of our enrichment curriculum, Chapel, Nature Club, Cooking Class, Teddy Bear Clinic (4/5 year olds only) and Stretch-N-Grow are offered in-house.